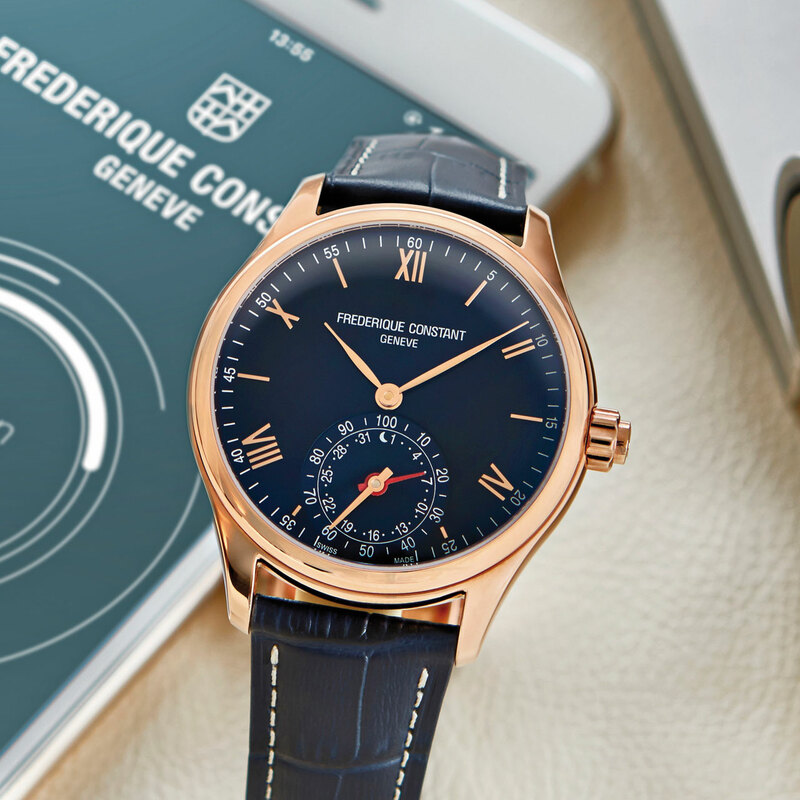 In 2015, Frederique Constant became one of the first Swiss watch companies to launch a smartwatch. Combining a classic display with the latest technology, this new version of the Horological Smartwatch confirms the runaway success enjoyed by the Geneva firm's Haute Horlogerie connected watches. Powered by the MotionX® platform, the Horological Smartwatch accurately tracks the wearer's daytime activity and sleep patterns. 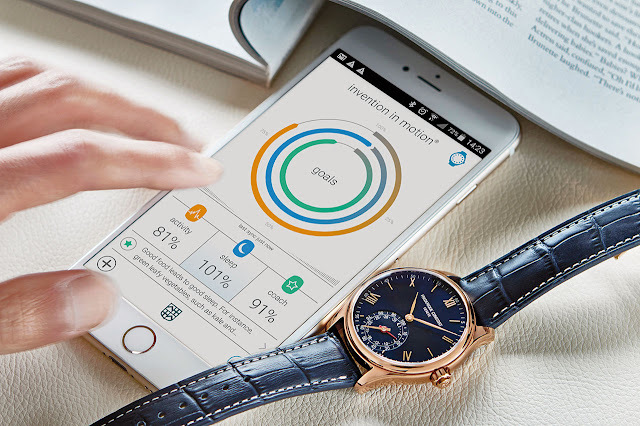 The smaller dial at 6 o’clock shows the percentage of activity or sleep against a pre-defined goal in real-time. This data is synchronised with the MotionX-365® app, available for iOS and Android, and displayed with easy to understand graphics. As for autonomy, often a weak point on this type of watch, the Horological Smartwatch has a battery life that will keep it running for two and a half years, without needing to be charged. Quartz, FC-285 calibre, 30-month battery life. Hours, minutes, date, MotionX-365® activity tracking, Sleeptracker® sleep monitoring, sleep cycle alarms, get-active alerts, smart coaching, MotionX® cloud backup and restore. Polished pink gold-plated steel, 42 mm. Functions adjustable by the crown. Convex sapphire crystal. Water-resistant to 50 metres (5 bar / 165 ft). Blue alligator with folding clasp.